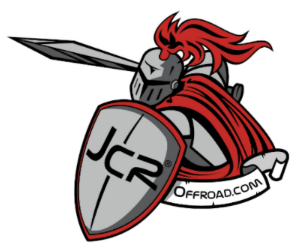 JcrOffroad's Crusader Rear Mid Width bumper is designed for those looking for improved clearance but still want protection for the body of the Jeep Wrangler JK. • CNC cut and formed from 3/16" Steel. • Includes (2) 3/4" thick shackle tabs. • Works with the factory hitch. • Built in Hi-Lift Jacking points. *** NOTE: SOME DRILLING REQUIRED!